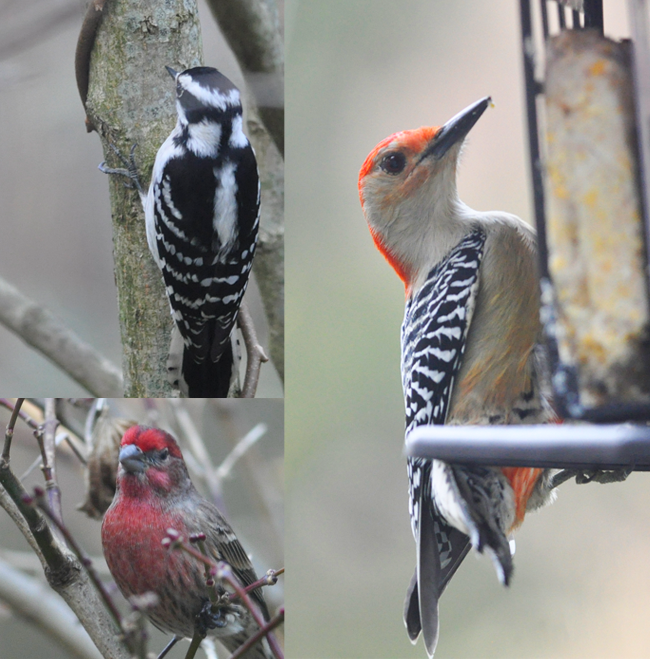 The bird feeding season is in full swing in our garden, especially with a nice, December snowfall. Here, a Tufted Titmouse enjoys a snack of sunflower seeds. Feeding birds in our garden has a long history which reaches far back to the early 2oth century, when in the 1920's my dad, his brothers and my grandparents fed birds during the winter months. You could even that that due to our gardens unique location, just south of a populated city, yet attached to a woodland, that it could be considered a birding hotspot, not unlike central park in NYC ( but smaller!). I am discovering a renewed obsession this winter with birdwatching and bird feeding. Today, Jow an I just completed a feeding stations consisting of a 50 foot wire with 6 feeders, two thistle, one hopper feeder and a table top feeder. Along with two suet feeders, I think it's safe to say that I've gone off the deep end once again. Then again, I suppose it is already in me genes. Some sightings at our feeders on this first day of feeding ( clockwise from upper left) A female Downy Woodpecker rests on a Japanese Maple trunk as I affix some suet to a new feeder. Next, a stunning Red-Bellied Woodpecker arrived just after lunch (new bird for my life-list!). Finally, a purple House Finch patiently waits while some squirrels tested the seed. OK...so Titmice. What's the deal with that name? As a child, my brothers and I would all snicker when we would hear my dad say that he needed to go feed the titmice, but really? Where did this name come from? 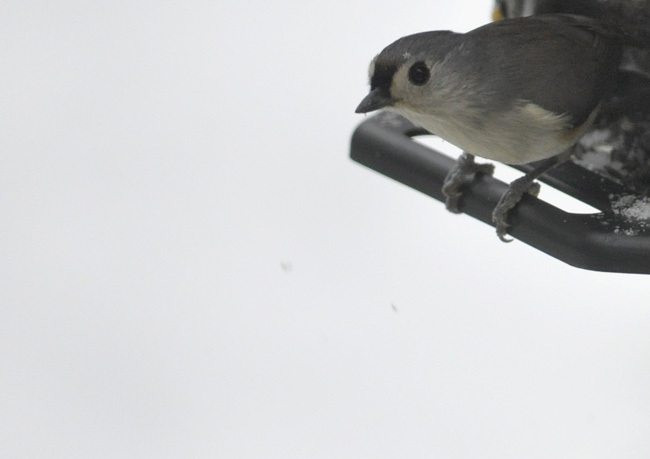 And with that said, should they be called titmice or titmouses?